Imagine if we believed every look expressed on the face of a dog. I suspect we’d all be a in a lot of strife. Dogs are overt when communicating their needs and are unswervingly committed to getting those needs met. There are few more important needs then exercise and social contact but unfortunately, these two are often in direct conflict with the modern person’s other commitments and hectic daily schedule. Fortunately, there are a variety of companies available to help meet these needs with services ranging from washing and grooming, to walking and even doggie day care. 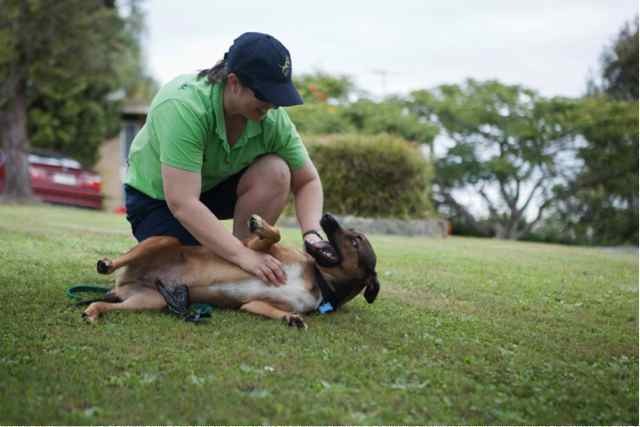 One such professional dog walking company is Spot the Dog Walker, which operates throughout Brisbane. Here dogs, whose owners have identified the need for additional help with regular walks, are matched with enthusiastic dog walkers from their local area. Introductions are had and schedules set before, together; they embark on the beginnings of a new and mutually satisfying friendship. Given that dogs can never have too many friends or too much exercise their faces reveal that the arrangement is well received and the rendezvous eagerly anticipated. There is, however, one unavoidable and confronting issue for the walker; upon their departure, that same helpless gaze and big, despairing eyes surface making yet another person’s heart break.